We are glad you are learning more about our church and we hope that you join us for worship on Sunday! Our church offers ways to grow, connect, learn, support, volunteer and spread the word of God. Join us and see how you can become a part of the St. John family! What’s your Traditional Sunday Worship like? Our 8am and 10:45am worship services are liturgical, following a set order of worship every week from either the Lutheran Book of Worship (LBW) or Now the Feast. Every Sunday we focus on Word and Sacrament. Through the words of Scripture and the sacrament of Holy Communion, God freely offers us the forgiveness of sins and the gift of eternal life. The order of service is printed on bulletins and projected onto screens so that it will be easy to follow along and know what is coming up next. Music is an important part of our worship. We sing hymns that express our thanks to God for his wonderful salvation. The hymns that we sing remind us of the many wonderful things our Savior has done for us. What’s your Praise Worship Service like? 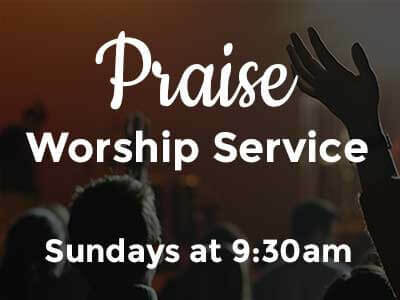 Our Praise worship services are also liturgical, following an order of worship similar to the traditional service. However, during our Praise service, you will hear a different style of music. In this service, the contemporary music is played with guitars, drums, etc. and is a break from the usual singing of traditional hymns. 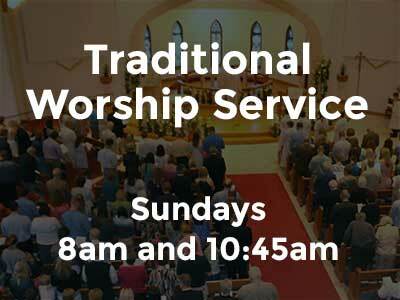 This service still follows a set order of worship every week, just with a more contemporary atmosphere. In our traditional worship services at 8am and 10:45am, most people (although not everyone) tend to dress a bit nicer or in business casual. On the other hand, almost all who attend our Praise Worship service at 9:30am are dressed casually; jeans and a nice shirt or top are the norm in that setting. With either service, wear what you feel is comfortable and appropriate. Yes, we have a number of wheelchair accessible parking spaces, and our building is also wheelchair accessible. We also provide large print hymnals for anyone that needs them. Hearing assistance devices are available in our traditional services. If you need any other assistance while you are at St. John, please let us know! If you are visiting us on a Sunday morning, you should expect an atmosphere of joy and fellowship with those who are worshiping. There will be quite a few people in church on Sunday, because God is doing something special here at St. John. During worship, you should expect to hear the Word of God and be filled with the love of Christ as we glorify him and what he has done for us and our salvation. St. John Lutheran places a high priority on families bringing their children to worship with them. We know that sometimes it is beneficial for mom or dad to have a break and let the little ones expend some energy during the service. This is why we provide nursery care for children age 0-3 from 8am – 11:45am on Sundays. For children age 2 and above, it is our hope they attend Sunday School on a Sunday morning at 9:00am, while parents attend one of our adult Bible studies. We offer so many classes to choose from at St. John, you are sure to find something that speaks to your heart! “What if they make me stand up and say something?” Rest assured, we won’t embarrass you in any way. We want you to feel comfortable and at home with at St. John. Church should be a relaxing, enjoyable, and uplifting experience. “What if my kids are too noisy?” We love to have children in church with us. If you feel they need a break from the sanctuary, you’ll find a staffed nursery just down the hallway. “What if I feel out of place?” You should never feel out of place at church, especially not at St. John. If you are not sure of something, please speak up! Ask someone. Don’t hesitate to say, “I’m new here. Can you help me?” Stop by the information desk in our lobby. “I just want to see what it’s like at St. John first, but I know that someone will try to involve me or get me to sign up.” We never want you to feel pressured when you are at St. John. We welcome you to see all the things we have to offer here, but we certainly respect your need to observe our church first. We understand that you may need time to evaluate and decide if you want to get further involved. If you would like to read more about our beliefs and practices, check out the website of our church body, the North American Lutheran Church (NALC) at https://www.thenalc.org/. 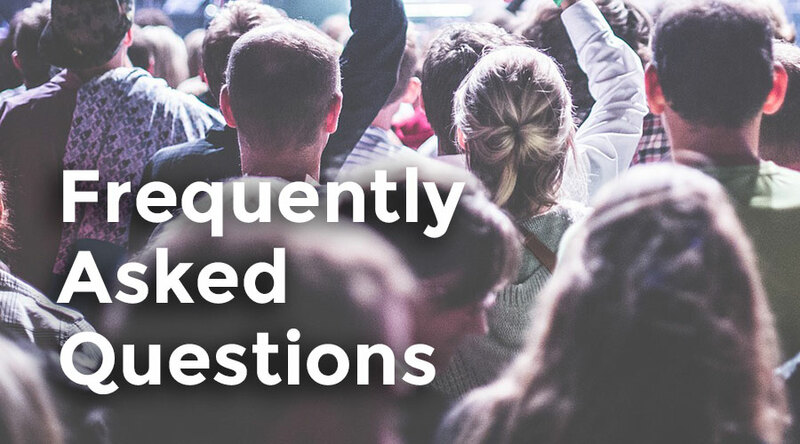 We hope that this information here has helped answer some of your questions and alleviate any anxiety you many have about visiting St. John Lutheran. Our mission as a congregation to share the gospel of Jesus Christ with all people. Everything we do is meant to accomplish this goal: Know Jesus and Make Jesus Known. We pray that you join us at St. John Lutheran Church. We look forward to seeing you on Sunday! Guitar-driven praise songs framed by the Lutheran liturgy create a contemporary worship with a traditional feel. We offer classes and study groups for all ages from Pre-K to Teens to Young Adults and Seniors. Click here for detailed information or visit the information desk in the Gathering Place. 9:30am – 10:30 am: Classes in the Family Life Center and the Education Wing. 9:30 am-10:30 am: Various class locations and topics in the Education Wing.